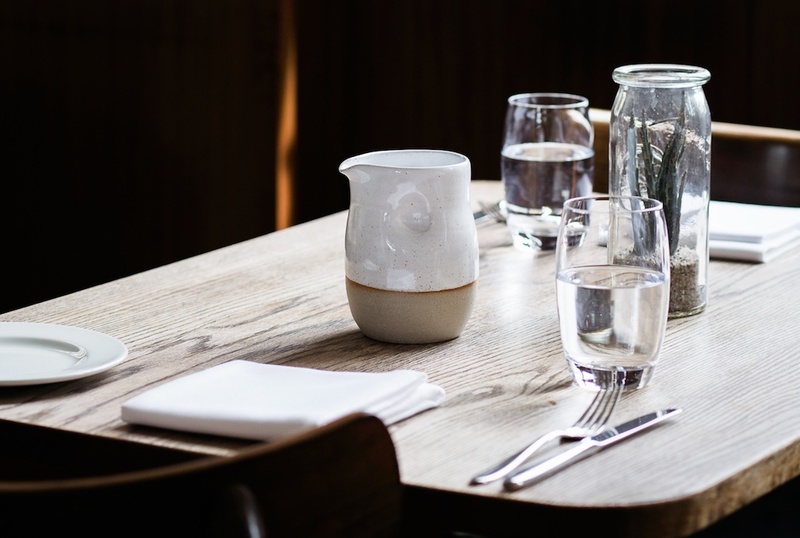 Skye Corewijn started Lazy Eye Ceramics just one year ago and produces small batches of simple, clean and functional ware for restaurants and cafes around London, including The Clove Club, Typing Room, Lanark Cafe and Sager & Wilde Restaurant. She also has a stall at our very own Druid Street Market in Bermondsey, so we couldn’t resist working with her on a bespoke piece for At The Table. 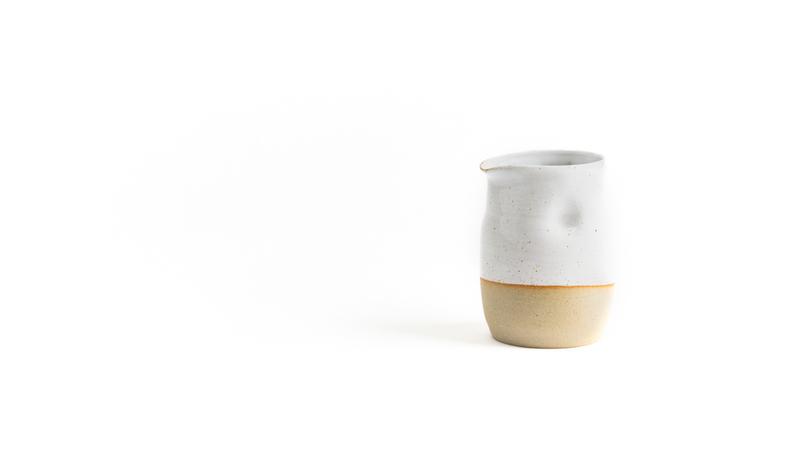 This hand-thrown stoneware jug is dipped in a simple white glaze to create a wondefully understated piece that is a joy to hold. 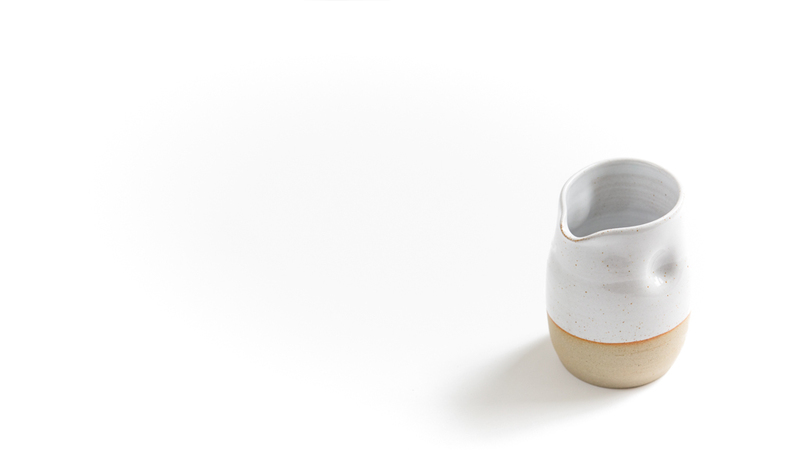 Not too big, not too small, the jug is the perfect size for water or juice, or even milk at breakfast time. And when it’s not being used at mealtimes, we love to use it for small bunches of flowers.